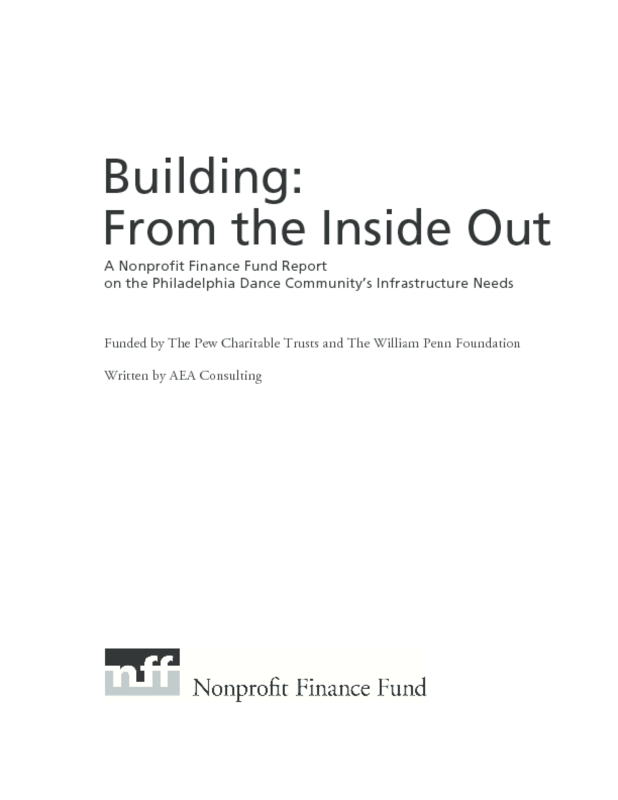 Analyzes the space and capacity building needs of the Philadelphia dance community. Prepared by AEA Consulting. Copyright 2003 Nonprofit Finance Fund.